Bat Master, also know as Bat Tamer (Japanese version) or Baldock (English Anime) is a demon in the form of a large bat with a human head and a bowtie. He is in charge of a large number of bats in Genkai's forest and is under Genkai's command. 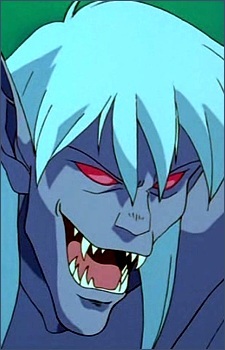 He is the demon who fights Yusuke in Genkai's third test, and Yusuke manages to defeat it.